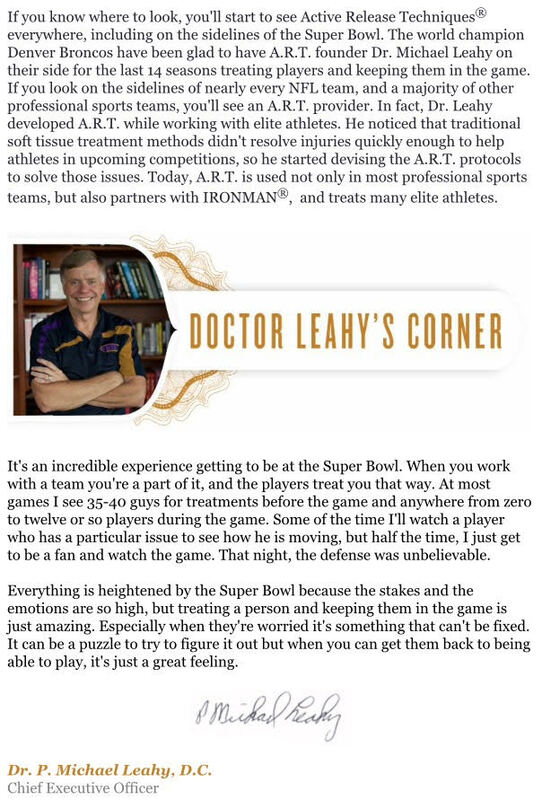 Dr. Krohse is the most certified A.R.T. provider in the Des Moines metro. 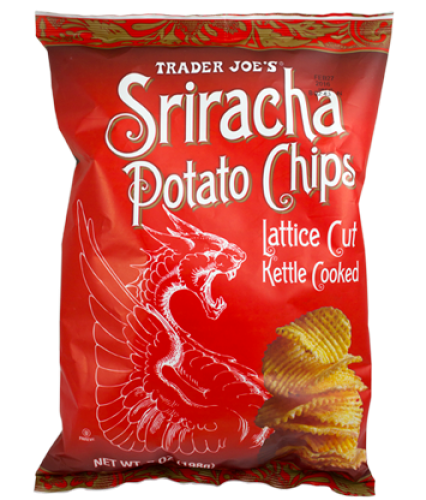 Actually -- Sandy asked her family for a recommendation for this month's newsletter -- and the response was an overwhelming "we love Trader Joe's Sriracha Lattice Cut Kettle Cooked Potato Chips". It seems like we've gone through many bags of these lately. These uniquely spicy chips are described as fiery with a chili-derived heat and just the right amount of sweetness and crunchiness. The chips are lattice cut and slow cooked in sunflower oil. While not necessarily the healthiest food to have in the house, it does satisfy those occasional cravings for something a little spicy, salty and crunchy. In addition to just munching them out of the bag, they can also be finely crushed and used in lieu of a bread-crumb topping on casseroles or as a spicier breading for frying or baking. This month I'm recommending Aqua-tots Swim School located in West Des Moines. Aqua-tots is an indoor swim lesson facility for children ages 4 months and up. After purchasing a Groupon I enrolled my toddler in her age appropriate class which was the Level 2 "Minnows" class for ages 13-30 months. This is a parent toddler class so my husband and I decided to take turns each week with Hattie. Week one was my turn. Hattie was excited to go "simming" she loved the warm water and the introductory singing and swaying in my arms in the water. Then came the first dunk...she was terrified and clung to me crying for the rest of the class. The instructor was very encouraging and patient with those of us who had crying terrified toddlers clinging to us. Through the rest of the class we practiced different strategies of dunking involving songs and water toys. Fast forward to week two- my husband participated with Hattie and at first she was scared again, but by the third song and dunk she was getting the hang of it. She ended the second lesson with a smile on her face after each dunk under the water. Something clicked with her at this second lesson and she felt safe and began to have a blast in the water. From then on every Saturday for the next few weeks we went "simming". She loved it! By the end of the 4th class the teacher had said she was one of the bravest toddler swimmers. We spend our family Christmas at Adventureland Inn and Hattie had the chance to use her newly acquired swimming skills in the pool there. As a parent I felt confident knowing that she had had her lessons beforehand. I feel that swimming is such an important life skill to have. I highly recommend Aqua-tots Swim School. It is a very nice facility with fun lesson plans, and knowledgeable, caring instructors. Anne Recommends Raja’s Cup "Tea"
Raja means “king” in Sanskrit, and, for tons of people, Raja’s Cup “tea” lives up to its name as a champion concoction. 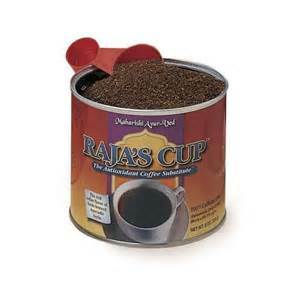 Raja's Cup is a brewed beverage that boasts a nutty aroma. This, paired with advantageous ingredients, makes it especially alluring to me. For over a decade now, ever since I first discovered Raja's Cup in the tea aisle at New Pioneer Co-op in Iowa City (where I worked during college), I've kept it in stock on my own shelves, and I consume it almost daily. You won't have to drive to Iowa City to get it though; this tasty "tea" is sold on Amazon, and the Maharishi Institute in Fairfield carries it on-line at their site mapi.com. Enjoy this delightful drink hot or cold … either way, its flavors are dark, rich, and slightly bitter- similar to coffee but lighter and “cleaner”. Nutritionally superior to coffee, Raja’s Cup is naturally 100% caffeine-free and has ample antioxidant properties. Plus, unlike most coffee “substitutes”, it does not contain grains (therefore, gluten-free!) Raja’s Cup consists entirely of a few Ayurvedic herbs: clearing nut, kasmard, licorice, and ashwagandha. No sugars, flavors, or other additives. Ayurvedic herbs are simply herbs that are customarily grown and utilized in India as part of the country’s traditional medicinal system, a system that traverses thousands of years and is rooted in the Vedas- ancient sacred texts. Ayurvedic herbs have been employed, studied, and their applications recorded for so long that they are reputed for their beneficial qualities and uses. I personally feel my health improve when I sip on Raja’s Cup regularly. Coffee can feel too acidic for my stomach, but scrumptious Raja’s Cup is smooth and seems to actually improve my digestion. As a treat, I often savor a mug of hot Raja’s Cup in the evening with something sweet. The full-bodied brew compliments yummy vegan desserts my boyfriend often bakes- like a dense chocolate cake from Chandra Moskowitz's cookbook "Veganomicon". Regardless of how it's enjoyed, Raja’s Cup always tastes like a healthy indulgence. Lately I've been on a healthier eating kick. I've been logging all my meals during the week into the fitness pal app and making many more meals at home. Often these meals are simple and quick to make: some frozen vegetables, a protein, and one sauce or another stir fried in just a few minutes. In the past, a meal like this was good but not overly exciting. One of the most valuable things I've done recently though has been to stock my fridge with fresh cilantro. Fresh herbs take a mediocre meal and make it taste fresher, bolder, and classier. 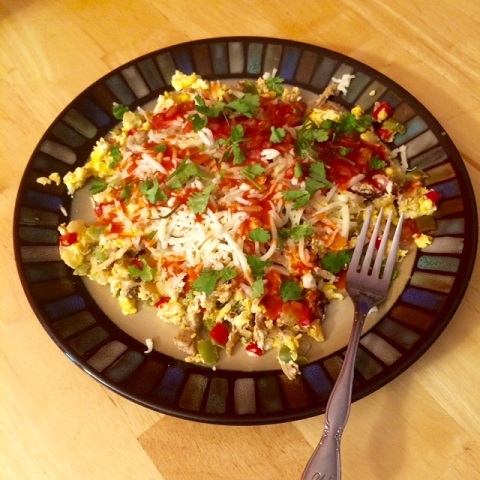 I've been sprinkling fresh cilantro on meals such as red curry chicken stir fry or the pictured egg scramble.